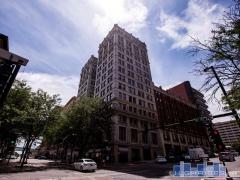 Mercer Block was originally built in 1892 and stands 6-stories tall. Mercer Block is situated in the middle of Old Market and offers residents garage parking. Have any comments or questions about Mercer Block? Ask your question and/or share your thoughts about this Building.